Trophy Cup On Brown Background Success PowerPoint Templates And PowerPoint Themes 1012-"Microsoft Powerpoint Templates and Background with trophy cup on brown background"-Trophy Cup On Brown Background Success PowerPoint Templates And PowerPoint Themes 1012-This PowerPoint template can be used for presentations relating to-"Trophy cup on brown background, competition, success, signs, business, marketing" Complete the circuit with our Trophy Cup On Brown Background Success PowerPoint Templates And PowerPoint Themes 1012. Ideas will flash in your mind. Convincing others can be an exacting business. 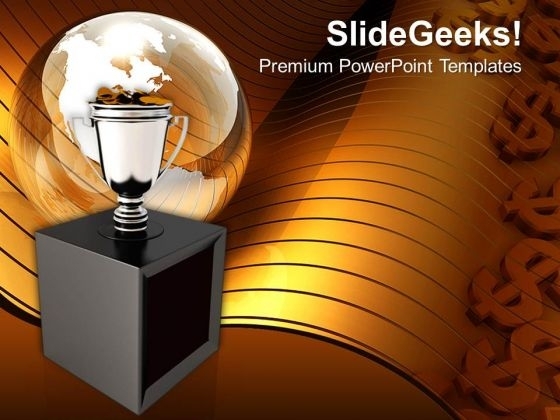 Address their doubts with our Trophy Cup On Brown Background Success PowerPoint Templates And PowerPoint Themes 1012.